"A welcome addition. . . . This book will find an audience beyond scholars interested in Japanese food. It contains a great deal of historical information about intra-Asian cultural influences. 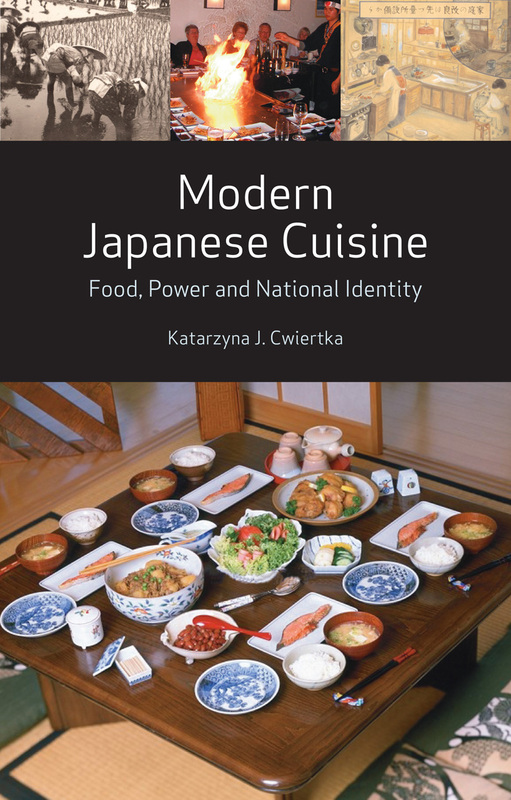 It will thus be of interest to scholars in Asian studies, cultural studies, and popular history. . . . Cwiertka’s book is a worthwhile and important addition to the growing corpus of material about Japanese cuisine and its influence worldwide." "Cwiertka here gives us a history that not only illustrates Japanese cuisine but also exposes the sociopolitical supports upon which it rests. Though properly scholarly, her account is also juicy in details that reveal the "traditional" diet to be something of a modern invention, and diet itself to be the work of sociology, economy, politics and other blind forces." "A gold mine of fascinating data. . . . Well-worth reading." "These are stories that will fascinate foodies and historians alike." "This is a work to read and reread, as the detail is so rich. . . . It is a strong addition to the growing field of culinary studies and a fine demonstration of novel approaches in area studies as well." "For scholars of Japan, serious lovers of Japanese food, and for anyone interested in the formation of modern cuisines, Cwiertka's account is both highly readable and essential."